I first met Luke Detraz, Director of Mixology at Southern Wine & Spirits, when we co-judged a United States Bartenders Guild competition. He's an amazingly talented and knowledgeable master of his craft as I learned while being schooled on Japanese whisky. His cocktails can be found around town on the menus of restaurants he has consulted for, including Stingray and its sister restaurant Geisha a Go Go, where I joined Luke one afternoon. "When you look at the history of Japanese whiskey, it really started off in the early 1900s with one person, Masataka Taketsuru" he begins. While Taketsuru's family had owned a sake brewing facility since 1733, he headed to Scotland. Enrolling in the University of Glasgow, he graduated with a degree in organic chemistry and studied under Scottish distillers to become a master blender. On Taketsuru's return to Japan, he founded Yamazaki Distillery with Shinjiro Torii in 1924. "When they released their first whisky, the entire Japanese community shunned the product because it was too bold, too intense, and too peaty," Luke explained. "It wasn't until about 15 years later that they finally created a blend which was a lot lighter and that people really liked." Fast forward, and now these spirits are highly sought after, with Japanese whiskies garnering multiple international awards. "They're very similar to scotch as almost all of them use malted barley, but you also have neutral grains like corn and wheat or rice." I was ready to learn more as Luke led the way in an exploration of Southern Wine & Spirits' Japanese (and a bonus of Taiwanese) whisky portfolio. Kikori Whiskey. "I wanted you to try this first because it's completely different from all the other Japanese whiskies. It just came on the market a few years ago and is a 100% rice distillate. Instead of just making a rice spirit, they use the same process as sake and go through copper distilling. After that, its aged in French oak, American oak, and sherry casks. It’s getting some flack because it’s not technically a whisky, but does fall in that neutral grain category. For me this is probably the truer expression of what Japanese whisky should be, using a rice base versus a Scotch style. It's soft and floral with a hint of vanilla and caramel." Nikka Coffey Grain. "This is one of my favorites. They’re using a blend of grains, mostly corn and barley, and a Coffey still so it takes on more of that bourbon approach. It's sweeter on the palate, less on the smoky side." Hibiki Japanese Harmony. "Suntory takes their Yamazaki and Hakashu and blends them with their other grain distillery called Chita, and the 24 sides of the bottle are for the 24 seasons in the Japanese calendar. It's very malty, very nutty, with a lot of spice. Your Chivas drinker would like this." Yamazaki Single Malt 12 Year. "This is 100% malted barley aged in American oak. A few months ago they stopped using Japanese peat. They’re using Scottish peat now because of supply and demand; there wasn’t enough Japanese peat to process. This is the standard for a perfect single malt for Japanese whisky. Yamazaki is the most well known, the first original distillery, and their Sherry Cask was the first Japanese whisky to win World Whisky of the Year." Nikka Taketsuru Pure Malt. "This is the newest Nikka. It's 100% malted barley, and you’re going to get a little more peat in this. Where you got a little more sherry flavor with the Yamazaki, you’ll get a little more smoke on this one." Hakushu Single Malt 12 Year. "To me this is 100% terroir of Japan. When you're tasting this, imagine it's early morning and you’re sitting on the forest floor and all you smell is that dew and that green freshness around you. This is one of the highest distilleries in the world, up in the Japanese Alps. It really takes on that forest air." 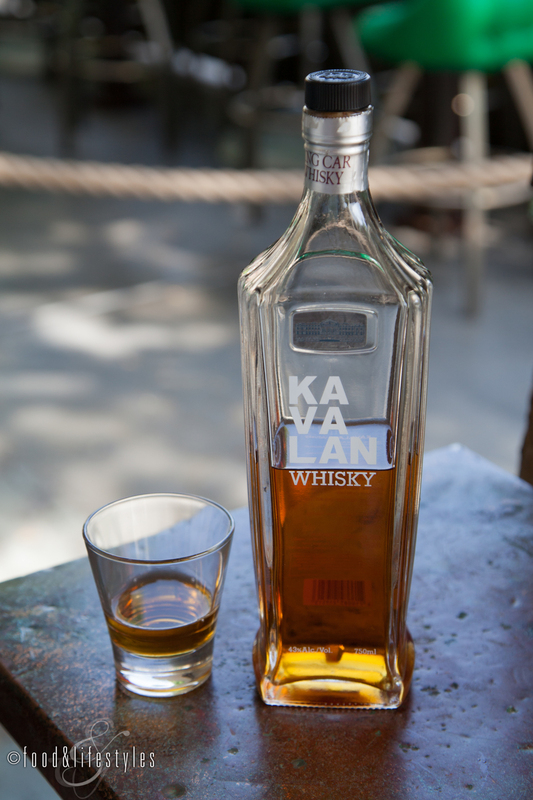 Kavalan Classic Single Malt. "Now we’re moving away from Japan and going to Taiwan. This is one of the newer distillers out there, created in 2005. They’ve done a really good job; one of theirs just won whisky of the year. It's spicy, nutty and hot all at the same time and bold because it's a young whisky." 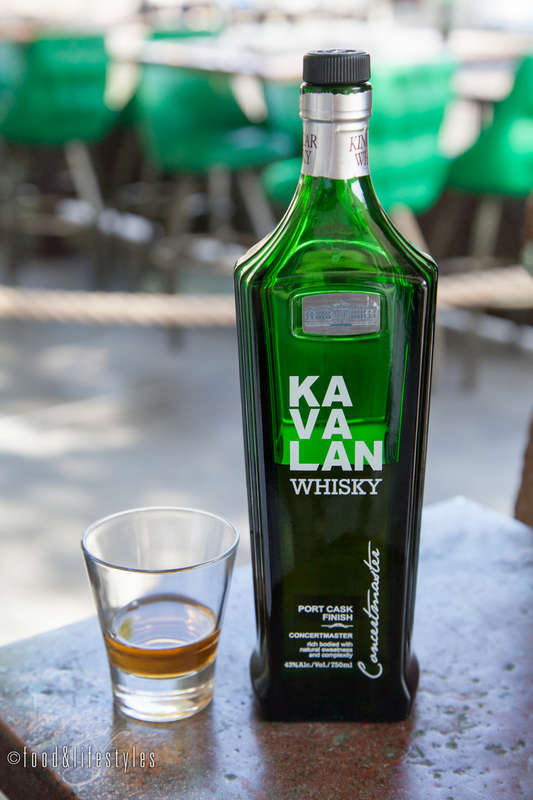 Kavalan Concertmaster Single Malt. "This is finished in port barrels. There aren’t too many port-finished whiskys. You’ll get that blackberry and dark brewed cherry notes with lots of spice. After such an educational tour through whiskies, it was time for Luke to mix up three of his signature cocktails. All were fantastic artfully-crafted cocktails melding Japanese inspiration with creative, complex layers of flavors. Luke's Beneath the Fireworks was a gorgeous cocktail using Suntory Hakushu 12 Year Old, aquafaba, black rice orgeat, his homemade Chinese five-spice bitters, and yuzu. Aquafaba contributed to the frothy head (Latin for "bean liquid," this is the brine from a can of chickpeas and a vegan alternative to egg white) and its unique hue derived from orgeat made with soaked and ground black or forbidden rice. His second libation, the Nure-Onna, takes its name from a mythical creature in Japanese folklore that is half woman and half snake. Garnished with a clever ode to its namesake, this delicious cocktail combined Taketsuru Pure Malt, Nigori sake, strawberry syrup, sudachi, a Japanese citrus, and finished with a white shoyu spritz. When asked about the intense juiciness of the strawberry syrup, Luke explained that he uses only the outside of ripe strawberries to concentrate flavor. We finished with Luke's wonderful Koku-Yu, a name marking the first day of the Japanese rainy season. A stirred cocktail, it was made with Nikka Coffey Grain whisky, crème de banana, and an innovative fat wash with coconut oil. To capture the essence of the rainy season, he garnished with cucumber for freshness, before decorating with a delicate sprig of Palo Verde. Special thanks to Geisha a Go Go for hosting our whisky-filled afternoon. New to Japanese whisky? Look for it on the spirits list of many of the restaurants around town to explore the nuances of this acclaimed whisky style. Mixologist extraordinaire Luke Detraz can also be found guest-bartending at various venues from time to time. If so, you're in a for a special treat.